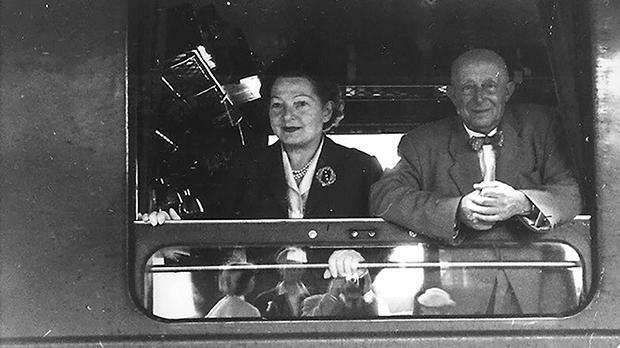 Nella and Olof Gollcher, on holiday in Sweden, were married in 1938. Learn about everything from traditional Maltese weddings to the myths surrounding the chastity belt during special tours of Palazzo Falson in Mdina tomorrow at noon and 3pm. The palazzo is the former home of Olof Frederick Gollcher, son of a prosperous shipping merchant of Swedish descent. Gollcher was an artist, scholar and philanthropist, but also a discerning collector of objets d’art and historical objects. Palazzo Falson was not only his home, but also a setting for his works of art and antiques. Following the tour, enjoy a complimentary glass of prosecco while enjoying the panoramic views from the roof terrace. For booking e-mail bookings@palazzofalson.com or by calling 2145 4512.